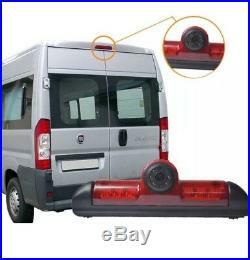 Brakelight reverse rear camera kit for Fiat Ducato, Citroen Jumper & Peugeot Boxer vans. 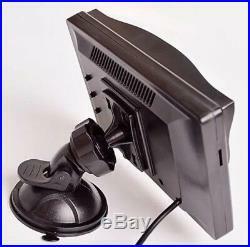 Includes a 5 inch colour screen which includes a window suction mount & dash mount. CITROEN Jumper II 2006 to now. FIAT Ducato III 2006 to now. PEUGEOT Boxer II 2006 to now. With camera's becoming more common on these vehicle's owing to health and safety requirements, duty of care and limitations with conventional park assist where the rear step is installed, this is the ideal solution for fleet operators and owner-drivers alike. The camera is mounted in a ball socket which only moves in one plane so is easy to setup and can be adjusted by the end user who would like to fine tune the image to suit their individual requirements. The camera comes with a 10 metre 4 pin cable, allowing trouble free installation to suit even the longest wheelbase models. 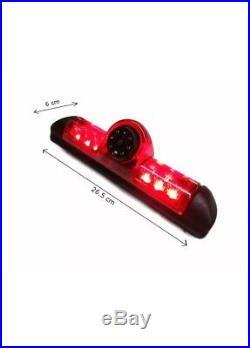 You need to unscrew your current brake light housing to replace it with this one and screw in the bulb to maintain the brake light functionality. Then you just need to wire the camera to a reversing light feed to switch it on when you select reverse. Image lens:- Sony Ccd. Format:- pal or ntsc. Adjustable lense, up and down adjustment. 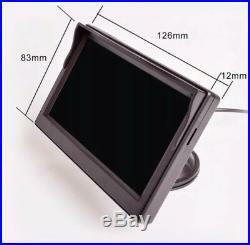 1 x 5 inch screen with dash mount & window suction mount. 1 x 10 metre video lead. These cameras are very high quality with the best lens on the market. 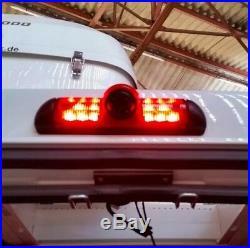 The item "Fiat Ducato Van Rear Reverse Brake Light Kit 2006 2018, UK" is in sale since Tuesday, November 13, 2018. 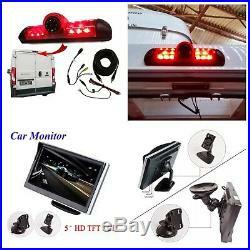 This item is in the category "Vehicle Parts & Accessories\In-Car Technology, GPS & Security\Parking Assistance\Parking Cameras". 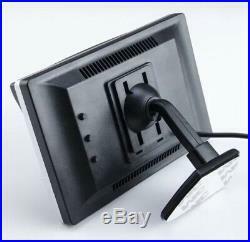 The seller is "reversecamuk" and is located in Bristol, Bristol. 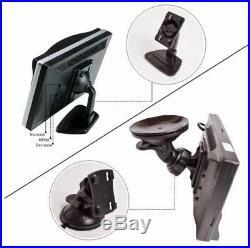 This item can be shipped to all countries in Europe, Australia, Canada, Brazil, Japan, New Zealand, Israel, Hong Kong, Mexico, Singapore, South Korea, Thailand, Saudi arabia, South africa, United arab emirates, Chile.